To truly transform your wedding we've designed a system to ensure you will have amazing flowers throughout your entire event. We will create a complete floral look that encompasses the bouquets, ceremony, cocktail hour and reception. We believe this collective design is where the magic happens. That's why we price each event as a full concept versus itemizing each arrangement. 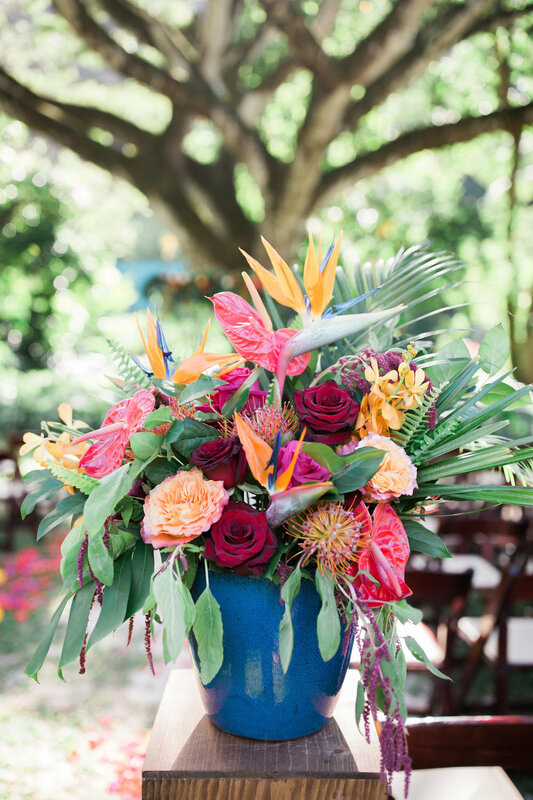 We love how this gives us the flexibility to go above and beyond when styling your wedding flowers! Let’s get to know each other, share some floral inspiration, make your dream floral list and talk budget. Sit back and relax as we put together detailed style boards and an itemized list to represent your complete floral vision. Once you're ready, a 50% deposit is required to reserve your wedding date. All final adjustments and payment are due 3 weeks out. Often times, seeing your bouquet for the first time on the wedding day is the catalyst that makes the whole day feel real. And selfishly, we wouldn't miss that magic for the world. That's why we thoughtfully deliver your bouquets to wherever you are getting ready. We also go the extra step to set them out so you can admire them and the photographer can document them with ease. We love being team players! 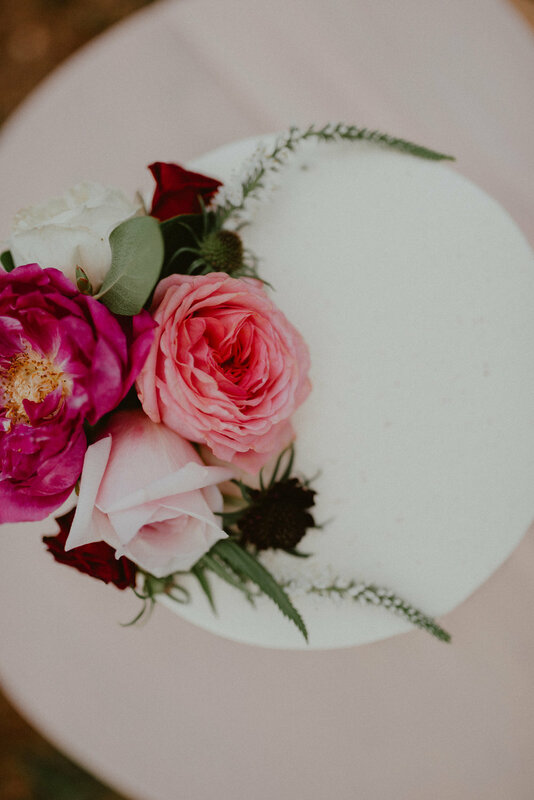 If you connect us with your venue, coordinator, cake baker, and photographer, we will make sure all the flowers are set up on time and ready for the detail shots before the guest arrive. 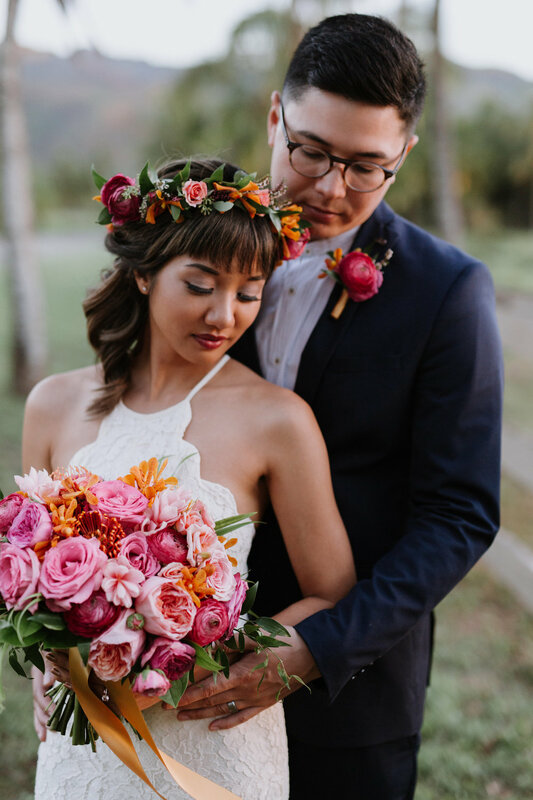 If you would like to make the most out of your ceremony flowers, we are happy to wait until after the vows to relocate the ceremony arrangements to your reception. And of course, we love making your day as beautiful as possible, so if we have any extra flowers, we will always find ways to style them into the existing wedding decor.